Over the past two weeks my daughter and her dad have been reading and talking a lot about vertebrates and invertebrates. She has started coming up to me and saying things like – “Mom that is a vertebrate and it is a mammal because………………” which naturally often ends up in a bit of a discussion. So based on her current interest I thought if would be useful if I could find some cards which she could use to quiz herself (and helpful for me – I did not know that an octopus was a cephalopod mollusc). 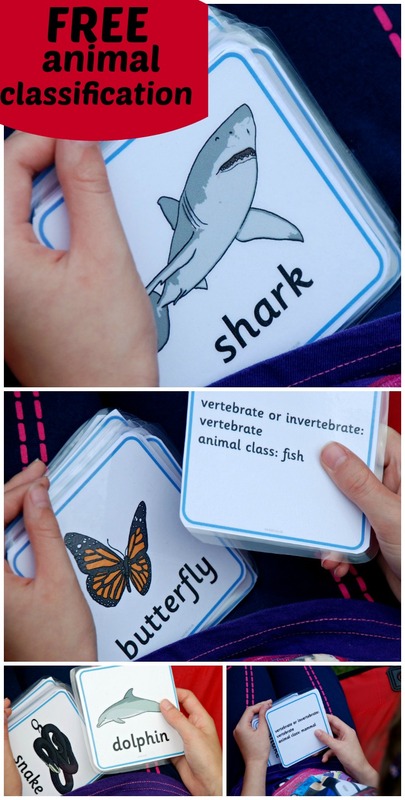 Luckily I found some cards on the Twinkl website and they are FREE to download – Vertebrates or Invertebrates cards. I like the fact that these show whether the animal is a vertebrate or invertebrate as well as the animal classification of mammal, reptile etc and they include some of the lesser known animal classifications like annelids and gastropod mollusc (which is very helpful for me). So some cutting and laminating later (I did reduce the size of the cards by printing 2 pages onto 1) we had our cards and I had a happy little Miss. She sat outside going through her cards for ages. And then little brother joined her and they “quizzed” each other. And the cards even resulted in some extra reading. When the kids got to the jellyfish card my youngest asked a question which my daughter could not answer so both kids found a book on their bookshelf and she read some extracts to her brother until he had his answer. Oh and my younger kiddie is also using the cards for another game – but he uses them for a game of guess what animal (so he will look at the picture of the animal and describe it to us and we have to guess what the animal is). I have been asked about the laminated cards that we make and use. I tend to print onto some thin card that we have, laminate the pages and then cut them all out. The card that we use is this – Lightweight White Card for Children to Use in All Types of Crafts 160 gsm (Pack of 100) . All links and information about the Twinkl products were correct at the time of writing this post. To download the free resources from the Twinkl website you first need to set up a free account.If you have any queries on the Twinkl products please contact them directly. I do include Affiliate links in my posts. If you follow an affiliate link and go on to purchase that product, I will be paid a very small commission, however your cost will remain the same. 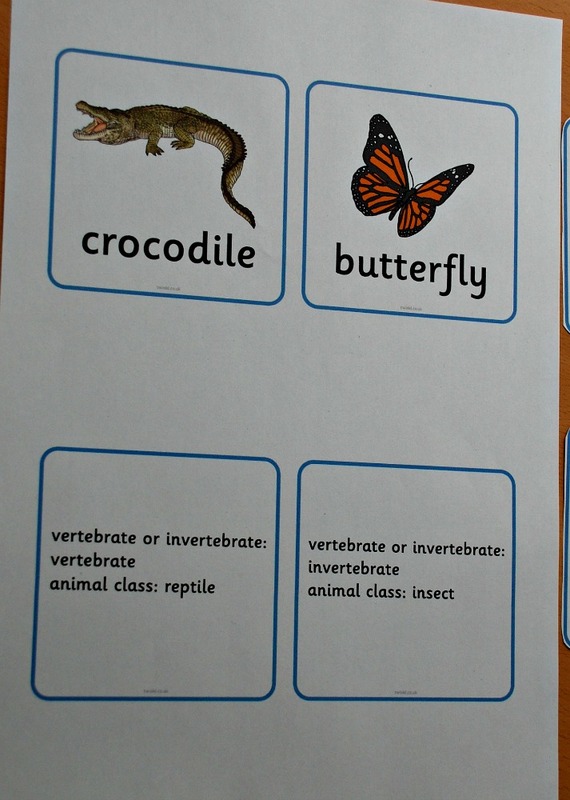 This entry was posted in Key Stage 2 and tagged animal classification, free printables, home education, homeschooling, ks2, science, vertebrates and invertebrates. Bookmark the permalink. Thanks for sharing such a great resource! Unfortunately, after the free sign up I was prompted to pay a 6.99 subscription fee to download these cards. Perhaps they were once free, but not anymore.